Remember, when you get this email click on the link to go directly to the blog to see photos and video. When I make chicken soup for Friday night I always buy celery to put a little bit into the soup. I have so much celery left over that it often goes bad. I have devised a beautiful, simple and delicious salad, to prevent any future celery waste-age (I know this isn’t a word but I like it). 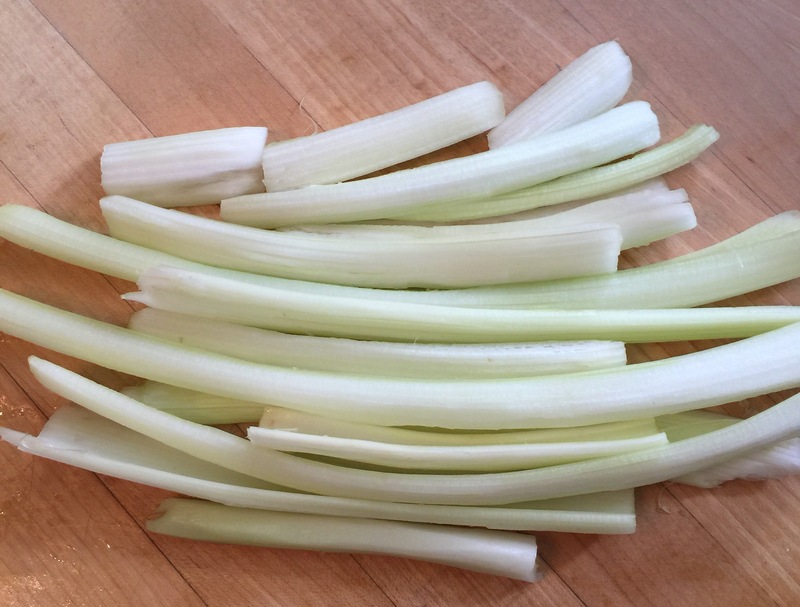 Cut the end off of the celery bunch to enable easy separation of the stalks, separate and wash each one thoroughly. With a regular potato peeler, peel each celery stalk to remove all fibrous strands, leaving you with the white celery hearts only. Slice each stalk in half lengthwise and then cut each on the bias (sort of diagonally) and place into a pretty dish in which you will serve the salad eventually. 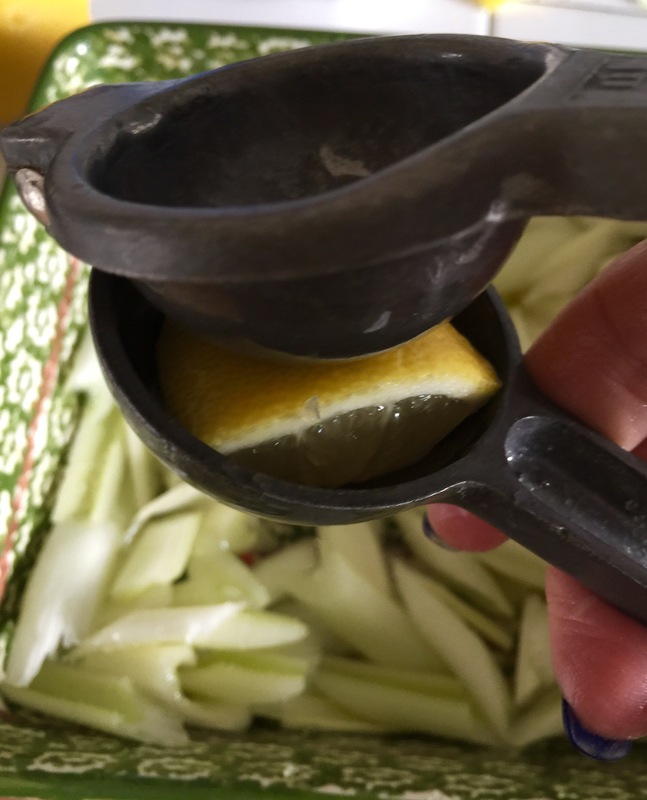 Add the lemon juice, the olive oil and half of the salt, mix thoroughly and let it sit covered for 30 minutes. 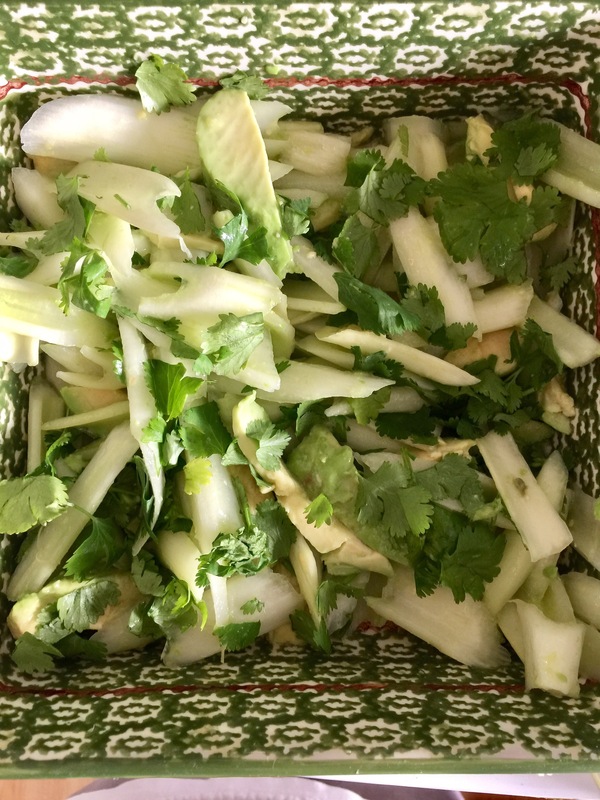 In the meantime peel the avocado and slice into small wedges, and wash and chop the cilantro leaves. 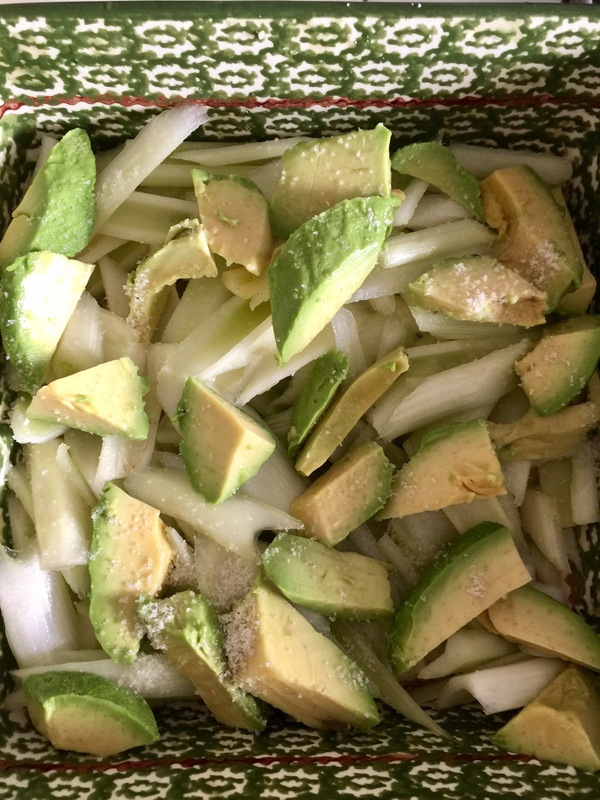 After 30 minutes add 3/4 of the avocado wedges, 3/4 of the cilantro leaves, the rest of the sea salt, and gently mix. Garnish with the rest of the avocado and the rest of the cilantro. You can serve righ away or chill and serve it later. 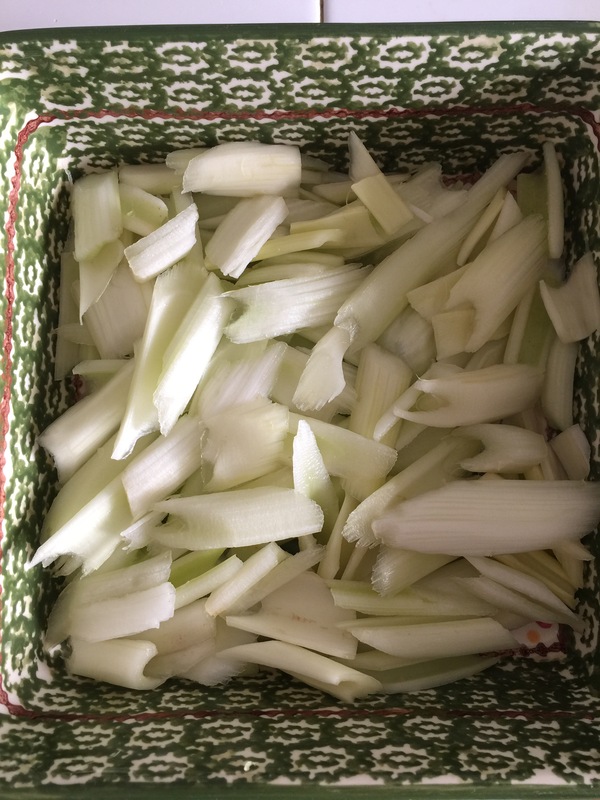 Peeling the celery stalks is a bit time consuming but it can serve as a quiet time for reflection. Most of all, the finished product is so delicious you’ll be happy you made it, enjoy! What a great idea! I always have celery left over and this would be a perfect way to use it. Thank you! Looks easy and yummy. Thanks! wow.. Easy.. I think I may try with some fennel and lime.. Thanks! Great idea!